This recipe of Kashmiri Kofta Curry is a traditional Tamil Brahmin cooking recipe. The Brahmin cuisine originates from the Kerala in Southern India. Traditionally, onion and garlic are not included in Brahmin cooking and beef is not used. 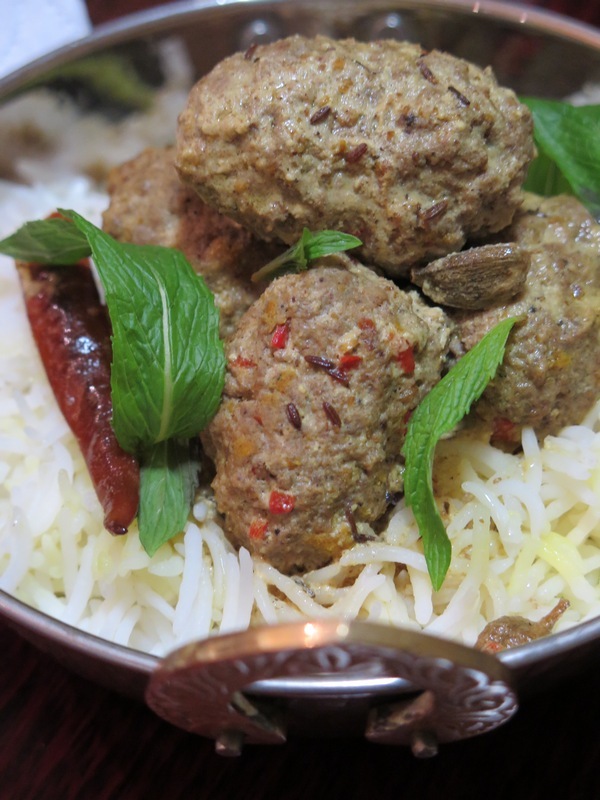 So this Kashmiri Kofta Curry recipe is made in the true Kashmiri style using lamb. I love curries. I love spices in my cooking. And I am passionate about sharing the different ways of using spices in home-cooking. My obsession with spices started 20 years ago at a very young age before settling in Perth, Australia. Whether you would call it fortunate or unfortunate – my immediate family and I lived in refuge camps in Rawalpindi Pakistan for a few years. It was there that I first tasted the HOTTEST potato and green pea curry EVER. When I say the Hottest… I really mean it. I will never forget that burning sensation, the flavour overload and the pleasant yet lingering cardamom and ginger taste…. This dish certainly ignited my curiosity in learning about spices and curries the traditional way. In some ways this dish reminds of those humble flavors, with subtle heat, served with warm indian bread or rice. This dish is served in our traditional Indian copper serving bowl with crafted handles. In a bowl add lamb, ginger, chilli, coriander, cumin seeds, chilli powder, 1 tsp of garam masala, 1 tsp of salt and 1 tbsp of yoghurt. Mix well and knead for 2 minutes. 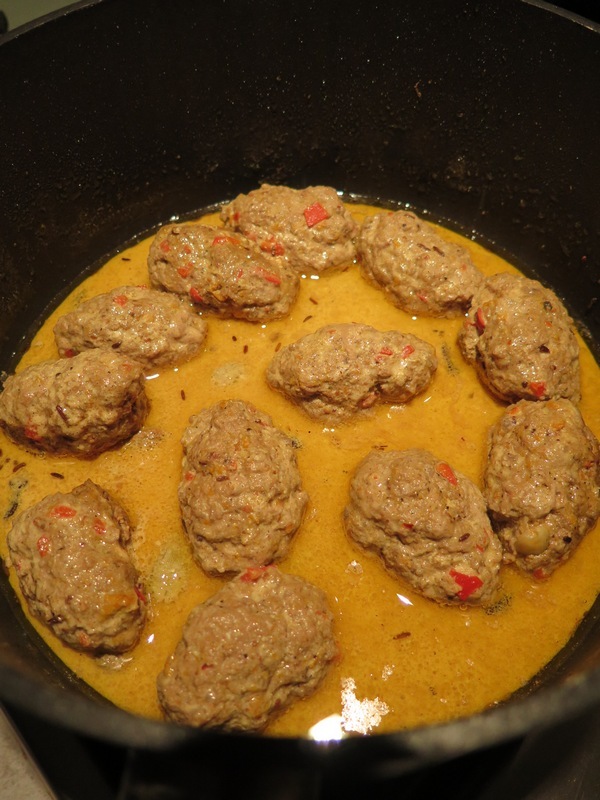 Then form the kofta into small oval shape. Place the kofta on a tray, cover with wrap and refrigerate until ready to use. Heat ghee in a heavy based saucepan on low to medium heat. Add remaining garam masala and salt, sugar, cardamom pods and whole chilli. stir for 2 minutes or until fragrant. Then Add the remaining yoghurt. stir to mix well. Add hot water. Bring to boil for 5 minutes. Then add the koftas. Reduce heat, cover and simmer until 1/4 of liquid is evaporated. Then turn the kofta over, add black pepper and more liquid if need be. Continue cooking for another 30 minutes until at least 1/2 of liquid has been absorbed. Sprinkle over with cardamom powder and garnish with fresh mint and extra chilli.